If you visit the Bruce Peninsula, start at Owen Sound and take the secondary roads along the the Georgian Bay side of the Peninsula. The views are surprising. Much of this coastline has limestone cliffs. Between Owen Sound and Wiarton you can visit Big Bay. North of Wiarton take County Road 9 to Hope Bay (see photo above). There are spectacular lookouts from the Bruce Trail just north of Hope Bay (in the Jackson's Cove area). Wherever possible, follow the coastal roads and visit the small towns. After Hope Bay visit Lion's Head and Dyer's Bay. You can drive almost all the way to Cabot Head. You will have to hike the rest of the way. 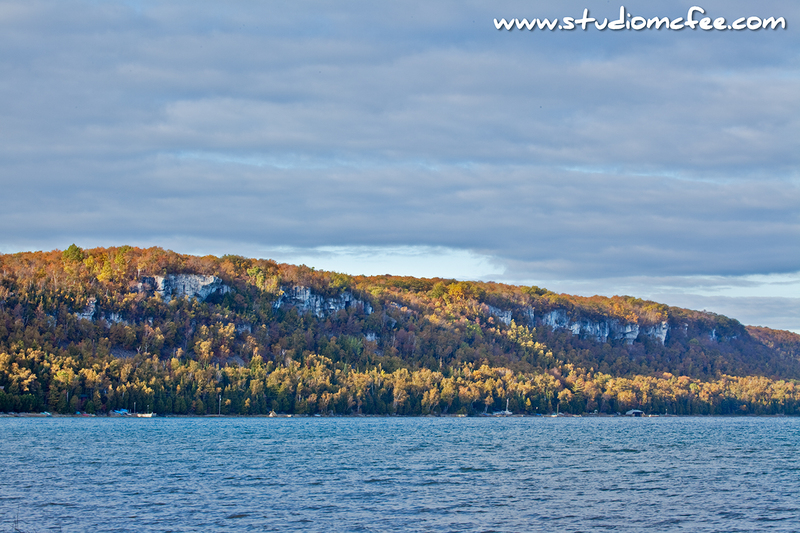 From Dyer's Bay, return to Highway 6 and travel to Tobermory. During the summer months Little Tub Harbour is quite busy with sailboats. This is also where you catch the Chi-Cheemaun ferry to Manitoulin Island. On one visit to Halfway Dump (near Cypress Lake), the waves had sorted rocks into different sizes from footballs down to pebbles. Whatever wave action had taken place, this grading of rocks seemed somehow impossible without human intervention. It was interesting to walk on this beach. Each size of rock made a different sound. 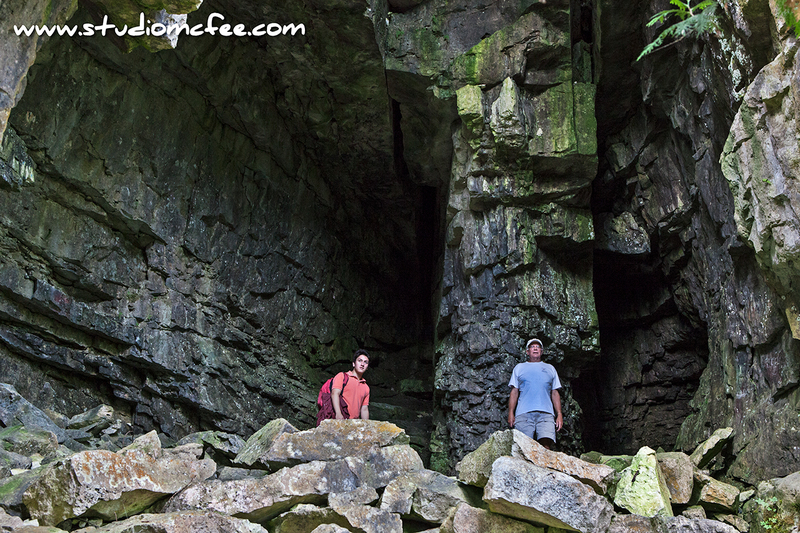 The Bruce Trail through the peninsula does not always follow the top of the cliffs. Occasionally you find yourself hiking below the cliffs. Watch for caves. As you can see from the photo above, the amount of rock above you can be a little daunting. Spend some time exploring the Bruce. It's worth the effort. For more about the Bruce Peninsula visit North from Big Bay and The Treasure of the Bruce.